Eintracht Frankfurt remain in a perilous position in the Bundesliga standings after holding on to draw 0-0 at home to Hamburger SV in the Matchday 22 opener on Friday evening. Buoyed by their victory over Borussia Mönchengladbach last week, Hamburg got off to the better start and put their beleaguered hosts under pressure. Artjoms Rudnevs had the best early chance for the visitors but was denied by home goalkeeper Lukas Hradecky, before Nicolai Müller poked an effort narrowly wide following a lovely turn on the edge of the box. The guests were the better side after the break too, although Makoto Hasebe very nearly gave Frankfurt the lead with a wicked 20-yard drive that flew just wide. Hamburg coach Bruno Labbadia made a series of attacking changes as the game wore on in an attempt to make his side’s dominance count, but Frankfurt held firm to secure a much-needed point in the battle against the drop. 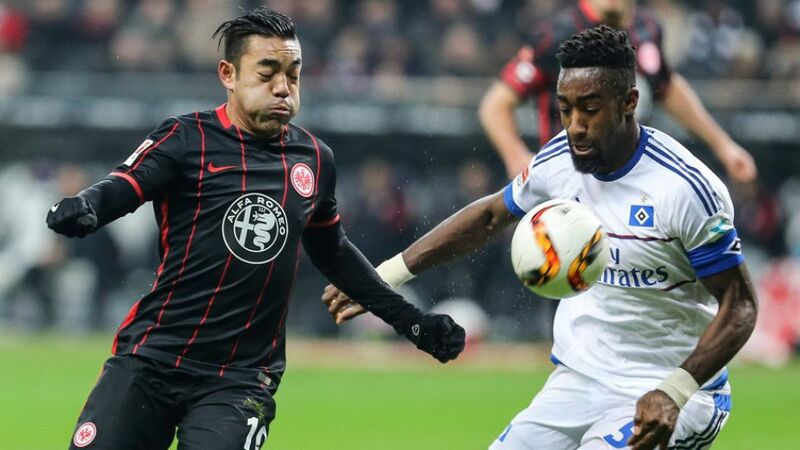 Carlos Zambrano was sorely missed in Frankfurt’s 3-1 defeat to 1. FC Köln last week, and his return here gave them noticeably more stability. The Peruvian marshaled the home defence expertly and won 61 per cent of his tackles. While Frankfurt will be satisfied with a point following two successive defeats, Armin Veh’s men need to win again soon to pull clear of the relegation zone. Lewis Holtby ran further than any other player on the pitch (11.64 kilometres).Hamburg had 12 shots on goal compared to Frankfurt’s eight.Müller made more sprints (29) than anyone else.